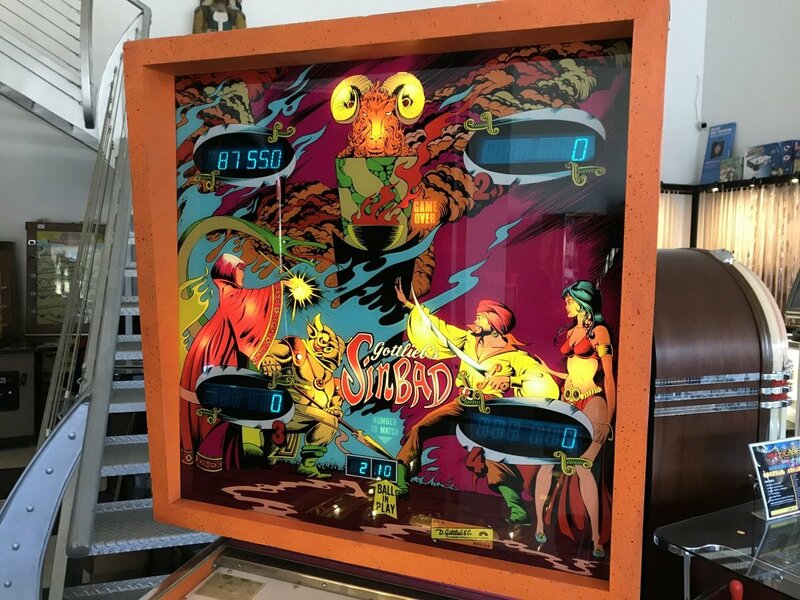 Sinbad Pinball Machine | Fun! 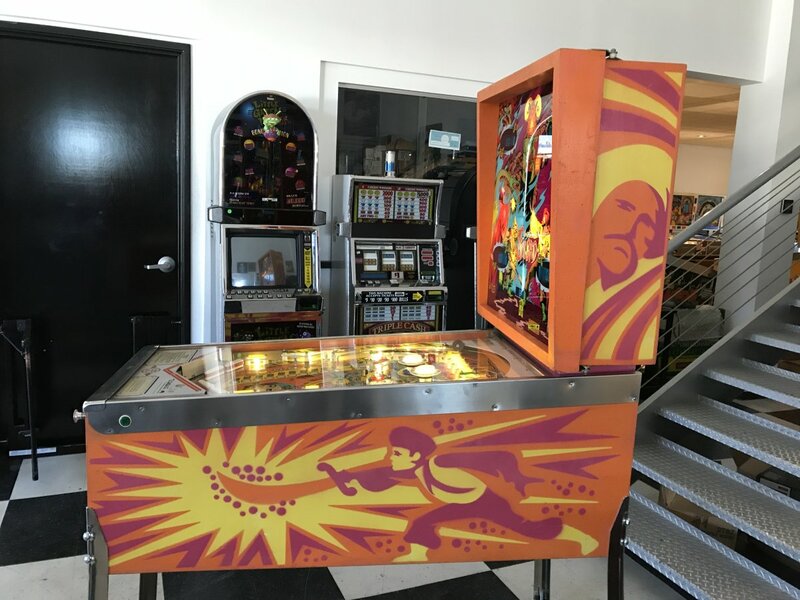 Acquired for a local collector we bring you this classic Sinbad Pinball Machine made by Gottlieb. This Sinbad is in remarkable condition. You would be hard pressed to find a more better looking example of this title. Cabinet looks outstanding with a few minor touch ups. 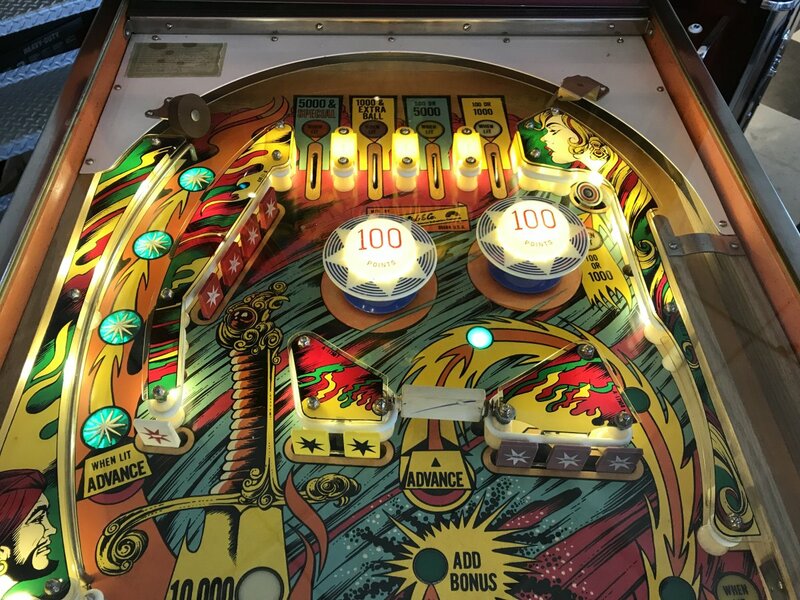 Backglass is almost flawless with a few very small scratches and the playfield shows no wear. Sinbad is a challenging and fun game from the era. The object of Sinbad is to hit the drop targets in order (left to right) to advance your bonus multiplier (2x, 3x and so on). Seems easy right? Not so fast…the flippers are unforgiving on Sinbad. Watch out! Trying to hold the ball by raising the flippers can result in draining loosing ball from the back side of the flipper. 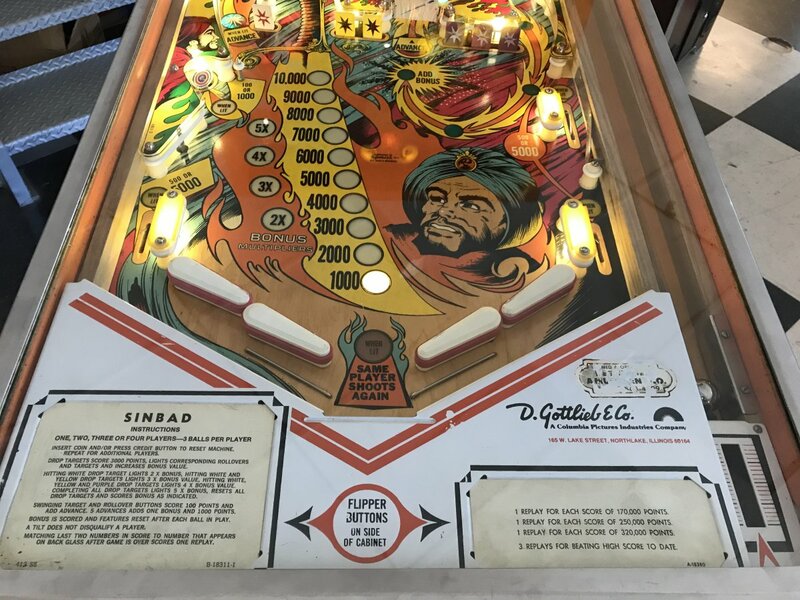 Sinbad/Eye of the Tiger Pinball Machines were released in 1978. 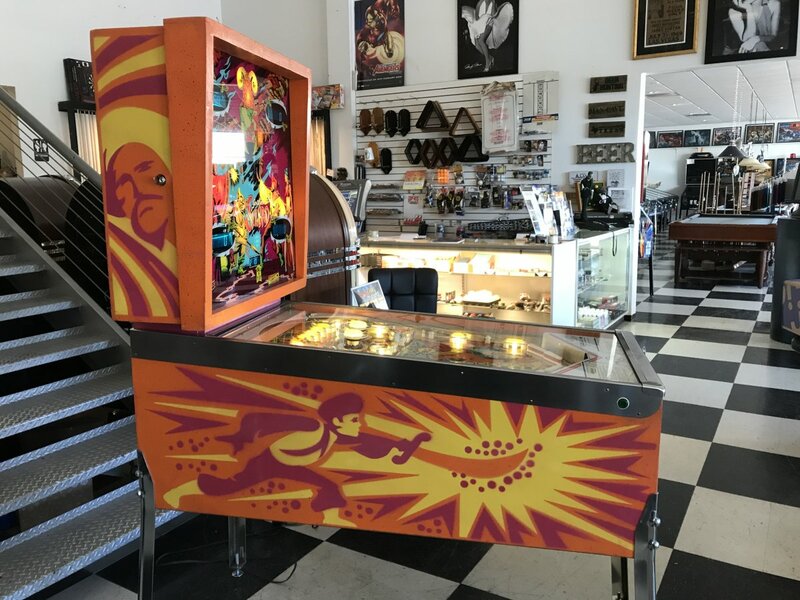 This was a time in American pinball manufacturing that all pinball manufactures were transitioning from electro-mechanical pinballs, to solid state electronic pinballs. This same game was manufacturer and available in both platforms (Solid State Electronic & Electro-Mechanical). A production run of 12,500 of the solid state electronic version Sinbad were produced. 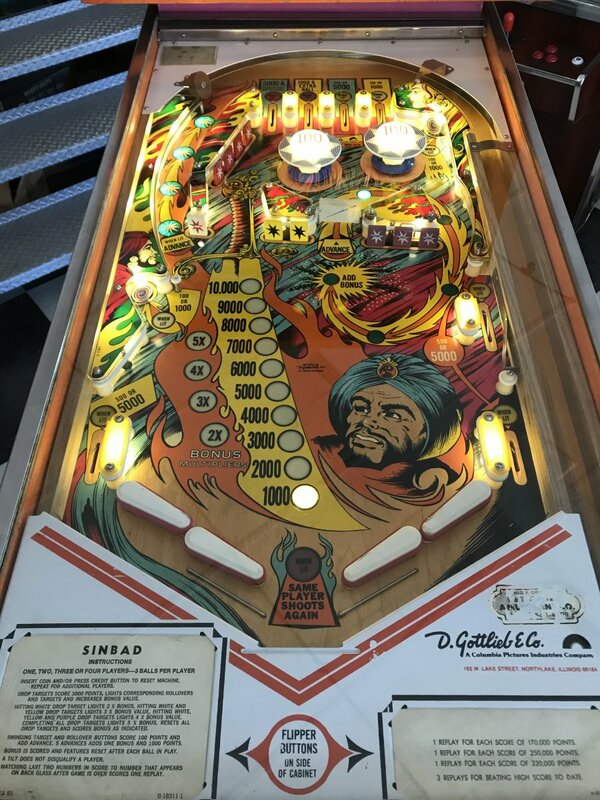 While the electro-mechanical variant of this machine, Eye of the Tiger only had a production run of 950 and is considered quite rare and collectible by pinball enthusiasts today. Although Sinbad is digital, it does still have the characteristic charm of an electro-mechanical with a chime unit for sound effects. Since acquiring this game we have upgraded the CPU to the more reliable NiWumph CPU Board. Edge connectors have been repined going to the circuit boards in the back. 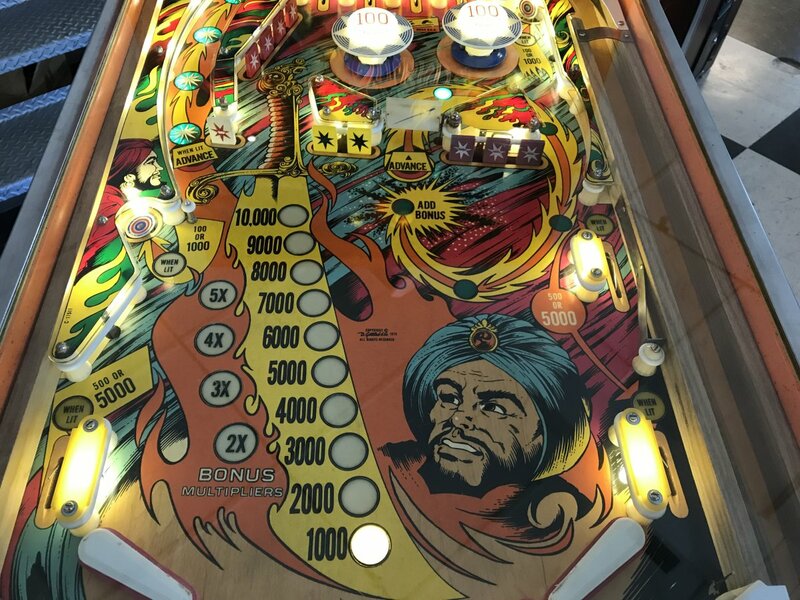 We have also shopped this game out by removing all components on the top of the playfield. 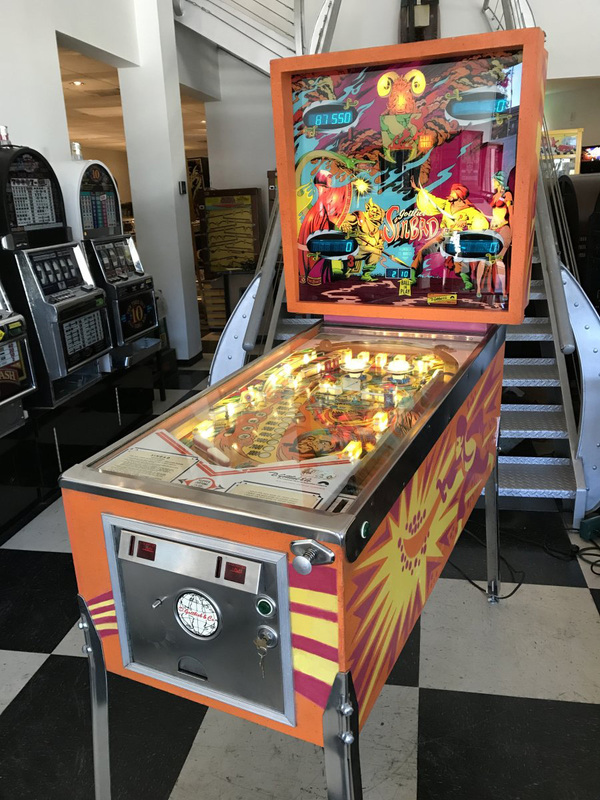 Playfield was thoroughly cleaned and polished as well as plastics and posts. New rubber rings were installed as well as new ball. Finally we have upgraded this game with LED lighting. All #44 incandescent bulbs have been upgraded to LED’s. These LED’s look better, run cooler and last much longer. Finally before leaving the store, our lead technician will go over this machine one more time to make sure all functions including assemblies, coils, targets, switches, flippers and bulbs are working in perfect operation. 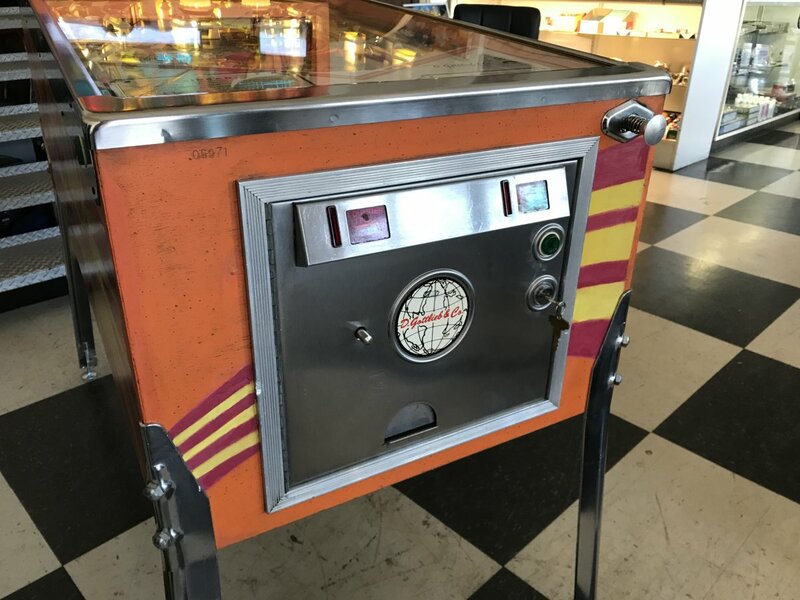 Like with all of our games, this machine includes a 30 day warranty on the electronics. If an issue arises within 30 days, simply return for repair or replacement.